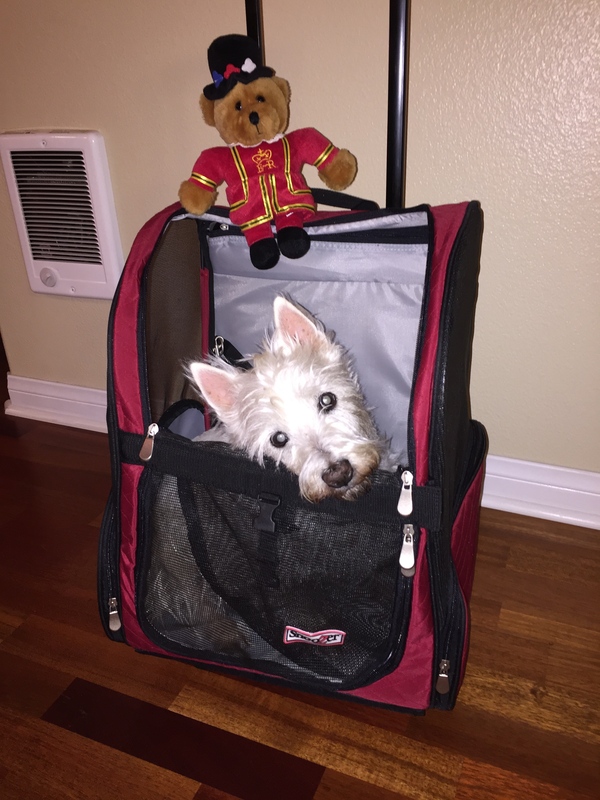 Scottish white terriers were recorded as early as during the reign of James VI of Scotland, who reigned between 1567 and 1625. 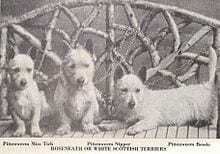 The king ordered that a dozen terriers be procured from Argyll to be presented to the Kingdom of France as a gift. Sandy and brindle coloured dogs were seen as hardier than those of other colours, and white dogs were seen as being weak. 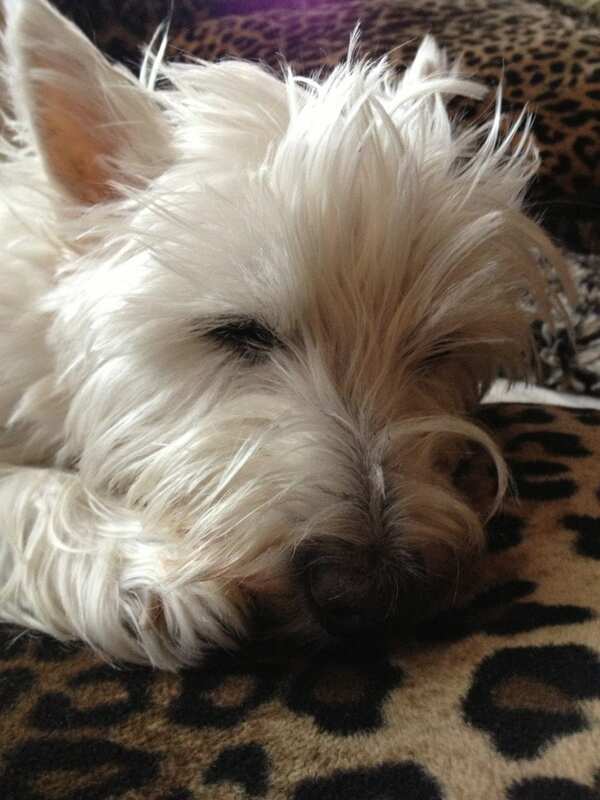 At various times during the breed’s existence, it has been considered a white offshoot of both the Scottish Terrier and the Cairn Terrier breeds. There were also reports of a ship from the Spanish Armada being wrecked on the island of Skye in 1588. This ship carried white Spanish dogs, whose descendants were kept distinct from other breeds by Clan Donald, including the families of the Chiefs. Other families on Skye preserved both white and sandy coloured dogs. One such family was the Clan MacLeod, and it was reported by their descendants that at least two Chiefs kept white terriers, including “The Wicked Man” Norman MacLeod, and his grandson Norman who became Chief after his death. George Campbell, 8th Duke of Argyll, chief of Clan Campbell, bred a breed of white Scottish terriers known as the “Roseneath Terrier”. 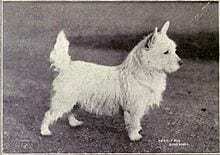 Another breed of white Scottish terriers also appeared at this point, with Dr. Americ Edwin Flaxman from Fife developing his line of “Pittenweem Terriers” out of a female Scottish Terrier which produced white offspring. 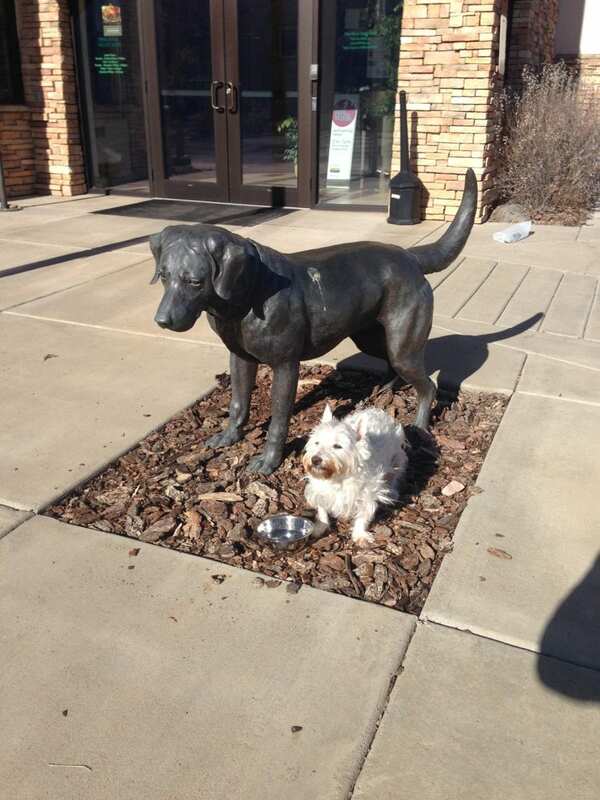 The dog seemed to produce these white puppies regardless of the sire to which it was bred, and after drowning over twenty of these offspring, he came upon the theory that it was an ancient trait of the Scottish Terrier that was trying to re-appear. 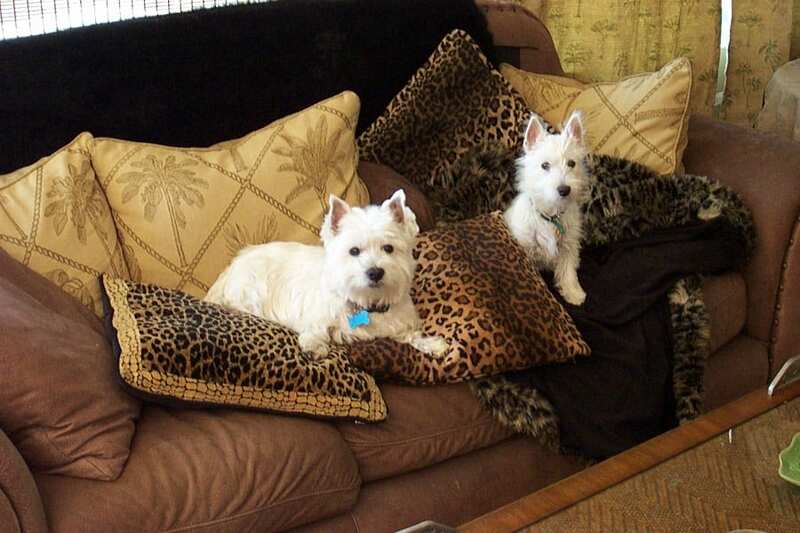 He rededicated his breeding program to produce white Scottish Terriers with the aim of restoring it to the same stature as the dark coloured breed. Flaxman is credited with classes being added to dog shows for white Scottish Terriers towards the end of the 19th century. This was quite interesting fact and surprise to us as Darren’s family is the Campbell Clan, so now we know he had something to do with Bella being here! haha no wonder she’s a Daddy’s girl! 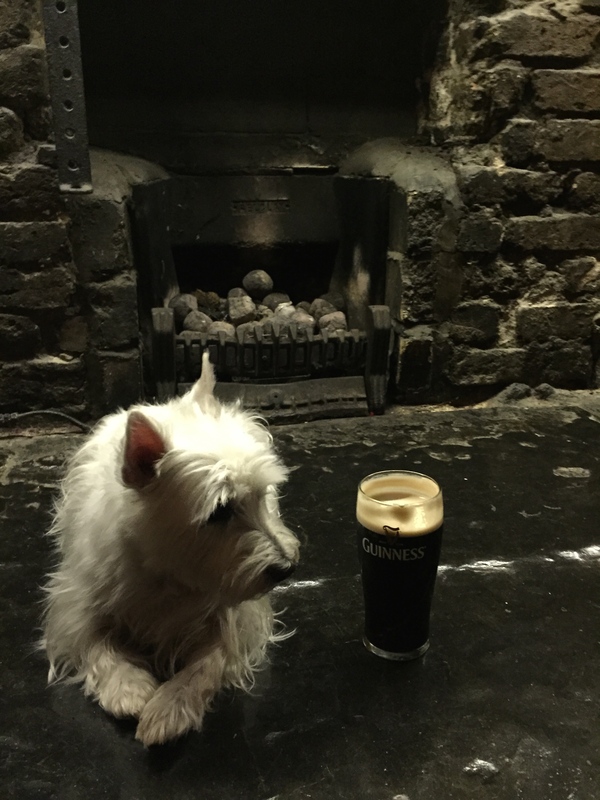 Not your typical travel Blog but we are in Scotland and England tracing our Ancestry.com so we decided to figure out Bella’s as well! Found it interesting to know where she came from. I had always heard the hunting story as the original of White Westies but did not know the other stories that seem to have come before the Malcolm original stories.